347 stainless steel plate in thicknesses from 3/16" through 4". A high carbon version, Alloy 347H (UNS S34709) stainless steel plate, can also be ordered in the same thickness range. As an eminent enterprise, we are manufacturing, exporting and supplying highly efficient Stainless Steel 347H. We offer a wide range of Stainless Steel 347H in order to meet the varied requirements of our clients. Counted as one of the top organizations, we have brought forth a wide range of SS Grades. We are instrumental in offering a wide range of Stainless Steel 347 Sheets to the customers at highly competitive prices. Our Company is One Of The Distinguished supplier, Trader and Wholesaler For Stainless steel raw material. We Fabricate In compliance With Industrial Quality Standards. 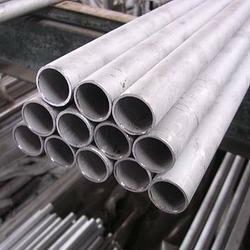 We are leading supplier of Stainless Steel 347H Billets. 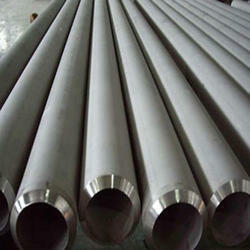 It is also known as Stainless Steel 347H, Stainless Steel Billets, Steel Billets. We are a renowned entity, deeply involved in offering quality range of Stainless Steel 347H. Pidilite's biggest bond is through the Fevicol family of products. Fevicol has become a household name that is today synonymous with adhesives. The brand has introduced many innovative products which have transformed the way carpentry trade operates in India. In order to comprehend and meet the diverse demands of clients, we are able to offer Stainless Steel 347H. We offer variety of stainless steel grades that are extensively used in many industrial applications. We are instrumental in providing a unique range of SS grades. With years of competence and understanding in this business realm, we are engrossed in offering to our clients a quality rich variety of Stainless Steel 347H.